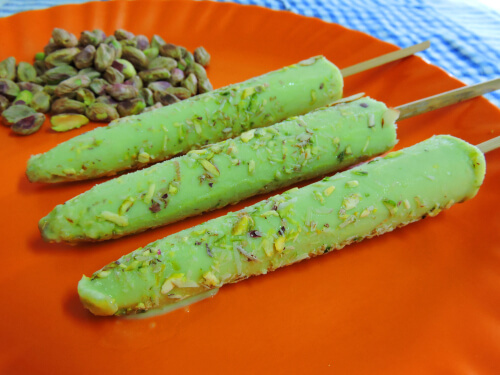 Summers are always welcome when you have some malai kulfi on hand. 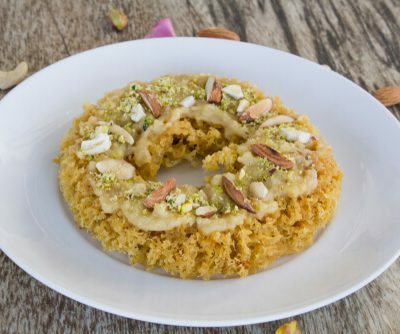 Enriched with the goodness and creaminess of milk and the flavors of cardamom and pistachios, malai kulfi is as good as any ice cream can really get. 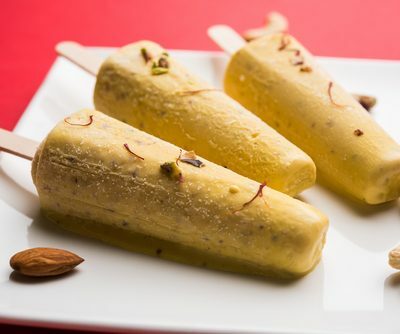 The best part is, you can easily follow the malai kulfi recipe to endlessly indulge in the exotic flavors of this homemade delicacy. 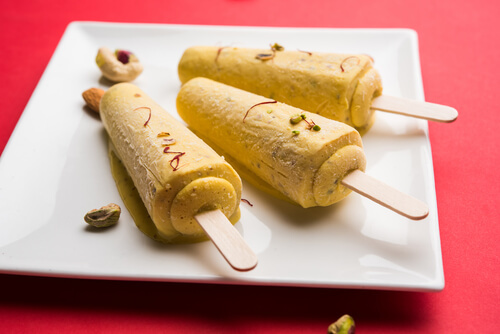 Forget all your woes and beat the heat with some malai kulfi! Malai kulfi has a much lesser calorie content than vanilla ice cream. 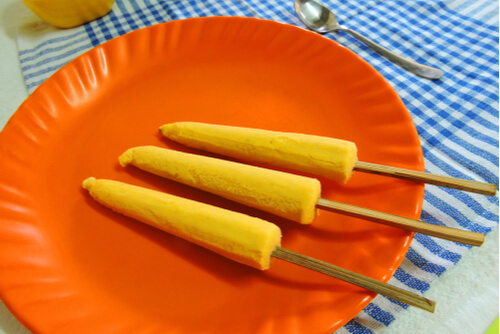 Having a high amount of milk, kulfi is a great source of carbohydrates and calcium. There is no artificial coloring and it is low in sodium too. 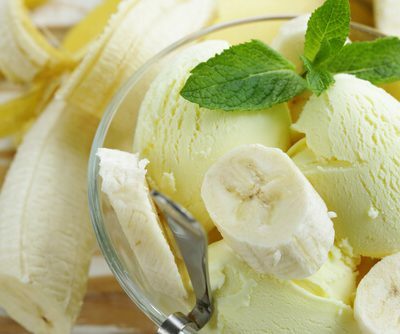 Being low in calories and sodium, people looking out to losing weight can indulge in this delightful dessert without any guilt! Combine the corn flour with the milk and mix them well taking care to prevent the formation of lumps. Pour milk in a heavy bottomed pan and heat it over a medium flame till it simmers. Add the condensed milk and mix it well. Keep stirring at intervals so that the bottom does not burn. Simmer the milk on a low flame for 40 minutes while stirring it occasionally. After 40 minutes, add the cornflour mix to the milk and stir it carefully. The milk should thicken in about 12 minutes or so. Turn off the flame and remove the pot from the stove. Let it completely cool. Carefully pour the mix into six kulfi moulds and cover with aluminum foil and put inside the freezer for 2 hours to set. Remove the mould from the freezer and insert ice cream sticks through the foil. 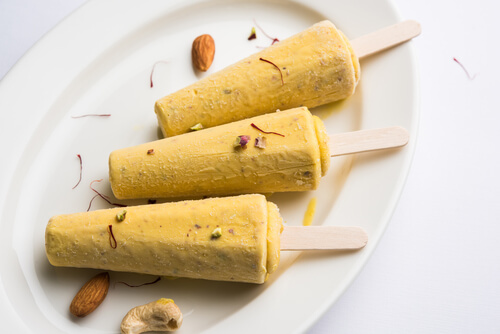 Place the kulfi back into the freezer to freeze overnight. Dip the mould in slightly warm water and slide the kulfi out. Serve with crushed pistachios. Originally a South Asian desert, kulfi was also made during the Mughal rule in the 16th century. Back then it was served on a banana leaf and in a terracotta cup. Malai Kulfi was reserved for the royals as a dessert. 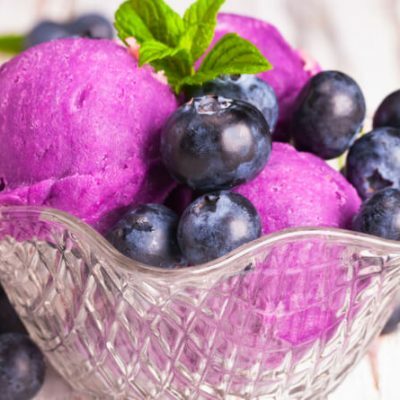 This is one of the most modified deserts after ice cream, found in every imaginable flavor and yet still being the simplest to make!